From a media perspective, Cannes 2015 was dominated by two wildly different businesses: one is just four years old, while the other will celebrate its 120th anniversary in 2016. 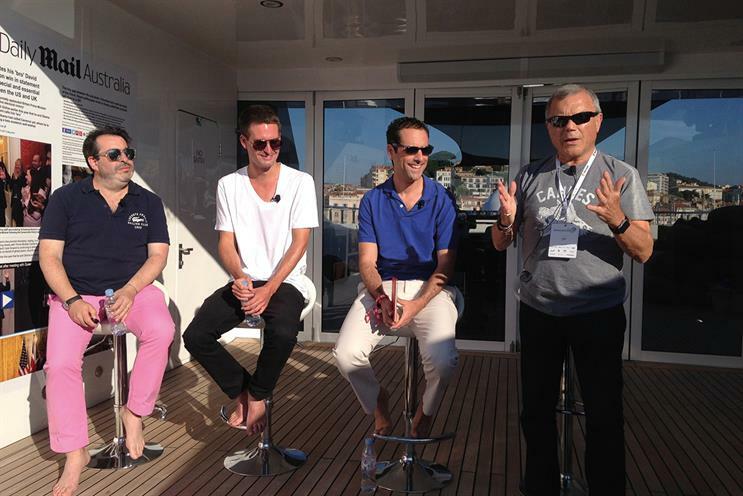 With roots that could not be further apart, Snapchat (a mobile app start-up) and the Daily Mail (a Victorian newspaper brand) arrived in Cannes with intent. Both are in aggressive expansion mode that relies on advertiser support, and they even formed a partnership with each other. Founded in July 2011, Snapchat positions itself as a platform, not a social network, but accepts it is in the early stages of developing a media business. The company founded by Evan Spiegel has blazed a trail by offering users the ability to share pictures and videos that disappear after an allotted time, between one and ten seconds. Introducing Spiegel to a horde of journalists last week, WPP’s chief executive, Sir Martin Sorrell, admitted that when they first met, Spiegel had been the first 24-year-old billionaire that he had encountered. Now 25, Spiegel’s company is valued between $15-20 billion by investors. And with fewer than 400 employees, it potentially represents the sort of operating margins Sorrell can only dream of; so long as it can unlock ad revenues, of course. Having spurned the advances of Google and Facebook, Snapchat’s chief executive needs to prove the app can create its own viable business model ahead of any IPO. Fortunately, it has strong foundations. While there was no attempt to use SnapChat itself to communicate any messages to the journalists present – all too old for that – but if you are at school today, the chances are you’ve used SnapChat. It’s a daily habit for nearly 100 million people; collectively, they send a staggering 9,000 photos per second. Having opened up to paid content in October, ads do not feature in the disappearing Snaps, with Spiegel having acknowledged "that would be totally rude". Instead, ads run around video and magazine-style portals labelled as Stories and Discover sections respectively. Flying in the face of convention, Snapchat has also chosen not to collect data on users, preferring to rely on "creative ads that tell users stuff that interests them – the way ads used to be, before they got creepy and targeted", Spiegel says. Whether this stance can be maintained remains to be seen, but in Cannes the message was clear: the platform is open for business. Early signs are promising, with Snapchat’s chief strategy officer, Imran Khan, claiming it has achieved more repeat advertisers than any other platform in the world. One obvious area for brands to explore will be native content via Snapchat’s integrated text and video services. This was clearly top of mind when Spiegel agreed to a tripartite with WPP and the Daily Mail to launch a content agency, Truffle Pig. This venture will be led by Alex Jutkowitz. The unveiling of the agency was light on facts, with no launch clients – although you’d expect Sorrell to be able to rectify that quickly enough – and no money believed to have changed hands. The emphasis, instead, was on the direction of travel and putting a stake in the ground, as highlighted by Jon Steinberg, the chief executive of Daily Mail North America: "It’s best to fish where the fishes are… and Snapchat is where they are." Few could doubt that the Daily Mail meant business either, having moored a 59-metre yacht, the biggest in Cannes’ La Jetee Albert-Edouard. The news brand later in the week announced a major foray into broadcasting with Dr Phil McGraw for DailyMailTV, as well as play host to the most lavish parties, featuring the likes of Sting and Kim Kardashian. It’s notable that while other newspaper brands have been stunned into inertia by monthly double-digit declines in both copy sales and print ad revenues, the Daily Mail continues to chart new waters; albeit in a $40 million, three-deck superyacht.